The Tallinn Architecture Biennale 2017 Urban Installation Programme, curated by Sille Pihlak and Siim Tuksam, offered emerging architectural talent the opportunity to design and build an exploratory installation in the city centre of Tallinn, on the area in front of the Museum of Estonian Architecture. 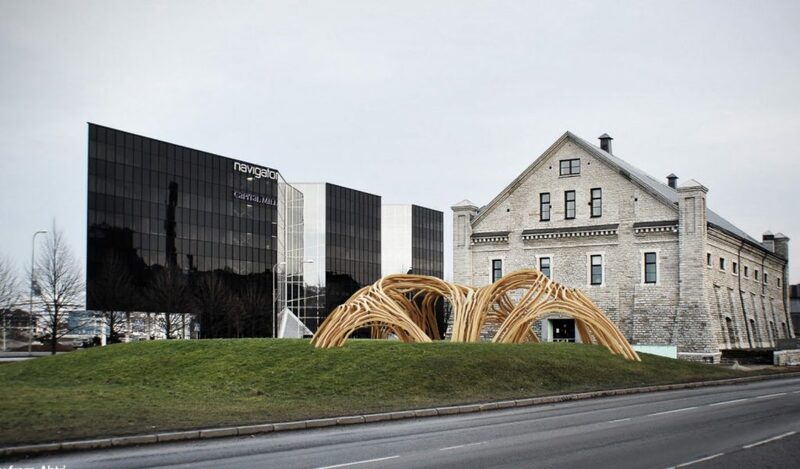 The international open competition with over 200 entries challenged the selected 16 participants to develop creative designs for a temporary, outdoor installation, a folly, addressing urban environmental issues, including sustainability and material optimization. Use of the fabrication capacities with the local timber factories was encouraged to promote synergy between designers and industry. 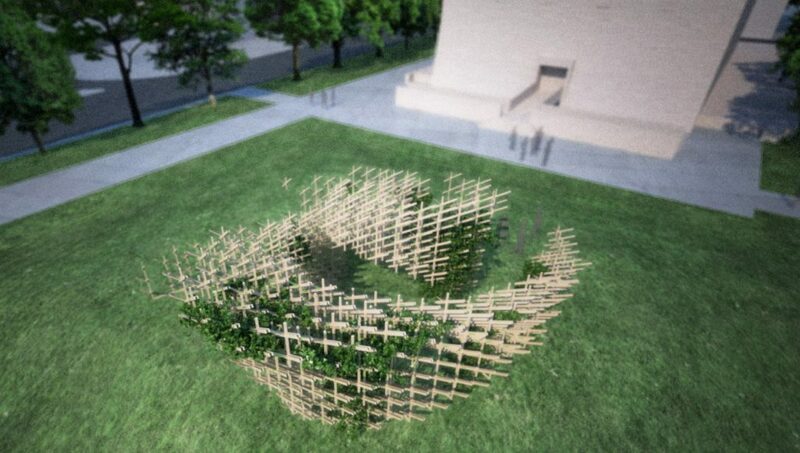 Additionally participants were asked to create a concept for the afterlife of the structure or its materials. The winning proposal “Digital Building Blocks” by architect Gilles Retsin was built in August 2017 on grass in front of the Estonian Architecture Museum, Tallinn, and will stay there on display to the public for up to 23 months until the next Tallinn Architecture Biennale. The installation is characterized by outstanding aesthetics and a novel usage of plywood. Gilles’ design for the TAB 2017 pavilion is based on a few simple elements – stiff, hollow timber boxes – which are easy to prefabricate, and fast to assemble as a structure, just like LEGO. The entries of the installation competition final were displayed in a travelling exhibition presenting the fresh ideas in the timber industry as well as the latest digital designs.